Together with an international team, Senckenberg scientists were able to document an additional fossil ape species in the Senckenberg hominid collection. The new species had already been described in 1950 as Meganthropus palaeojavanicus by Gustav Heinrich Ralph von Koenigswald, the founder of Senckenberg's paleoanthropological department, but at the time it was interpreted as a prehistoric human. Examinations of the anatomical dental structures now reveal that approximately one million years ago at least three additional species of hominids shared the habitat of Homo erectus on Java. The study is published today in the scientific journal Nature Ecology & Evolution. More than 200 fossil teeth and jaw fragments have been discovered on the Indonesian island of Java to date. The majority of these hominid remains can be attributed to the extinct species Homo erectus, the first early human discovered outside of Europe. It is known that Homo erectus lived on Java during the time of the Pleistocene, approximately one million years ago, in the company of the ancestors of the modern-day Orangutans," explains PD Dr. Ottmar Kullmer of the Senckenberg Research Institute in Frankfurt, and he continues, "We were now able to show that yet another species of ape existed there at the same time." 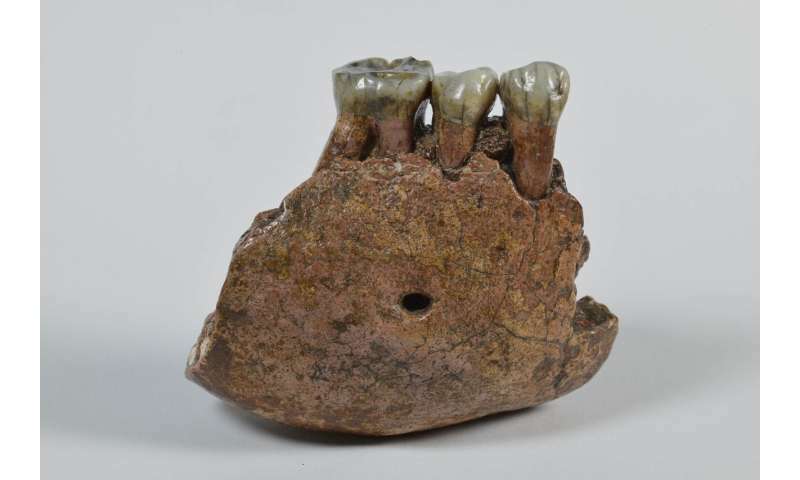 Together with the study's lead author, Clément Zanolli of the University of Bordeaux, Kullmer and an international team studied fossil hominid teeth discovered in 1941 by Gustav Heinrich Ralph von Koenigswald, using top-of-the-line methods. "Our micro-computer tomographic studies and the analysis of the tooth enamel show that the teeth belong neither to Homo erectus nor to the Orangutans," explains Zanolli, and he adds, "In addition, there is no indication that they involve ancestors of modern humans." "In the past, there were repeated controversies involving the mysterious hominid Meganthropus, but there was no confirmed proof of its existence," says Kullmer. 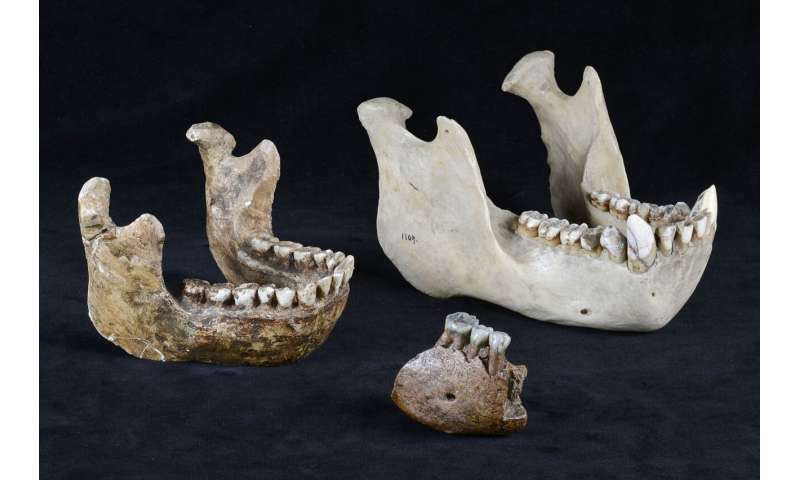 The new data now reveal that the teeth clearly differ from both the teeth of Homo erectus and those of Orangutans in regard to the distribution of the enamel thickness and the surface and position of the dentin cusps in the dental crowns' interior. The wear pattern of Meganthropus' molars corresponds to that of fossil and modern-day Orangutans. Kullmer explains: "We therefore assume that the 'renamed' species primarily fed on fruit and other plant parts growing above-ground, similar to today's Orangutans. Homo erectus, on the other hand, probably had a more flexible diet, due to his ability to prepare food in various ways. However, there is no documentation to show whether a one-sided diet or even Homo erectus himself contributed to the extinction of Meganthropus." According to the current study, it is now considered a fact that about one million years ago, in addition to Homo erectus at least three hominid genera inhabited the forests of today's Indonesian islands – a higher diversity than previously assumed. "And it is possible that we can add yet another genus, the giant ape known as Gigantopithecus. However, we are still lacking conclusive evidence in this regard," adds the paleoanthropologist. Note that the existence of Meganthropus is a contentious area. "Meganthropus is a name commonly given to several large jaw and skull fragments found at the Sangiran site near Surakarta in Central Java, Indonesia. The original scientific name was Meganthropus palaeojavanicus, and while it is commonly considered invalid today, the genus name has survived as something of an informal nickname for the fossils. As of 2005, the taxonomy and phylogeny for the specimens are still uncertain, although most paleoanthropologists consider them related to Homo erectus in some way. ... Some of these finds were accompanied by evidence of tool use similar to that of Homo erectus. This is the reason Meganthropus is often linked with that species as H. e. palaeojavanicus."